The cover price is US$40.00. This book contains 138 pages. Many areas of applied pyrotechnics, fireworks in particular, suffer from a lexicon that contains many specialized terms, is poorly documented, and about which there is much disagreement. For example, what you call glitter, others still call flitter, and vice-versa; your separation distance may be someone else’s setback viagraindian.com. As a result, effective communication is made more difficult than necessary. Having an extensive dictionary of terms will not instantly solve such communication problems, but it can help, especially over time. 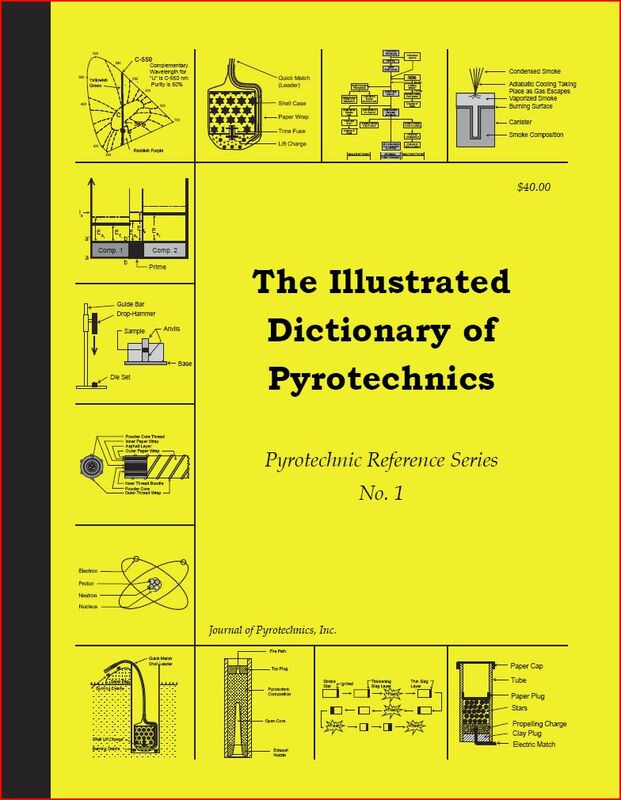 Unfortunately, until now such a dictionary has not been available.The Illustrated Dictionary of Pyrotechnics [ISBN-1-889526-01-0] is 130 pages, 8½” by 11″, with medium size print, and it has a durable binding. There are more than 1200 entries, 130 figures and illustrations, and 50 short tables. It includes scientific and craft terms from fireworks, explosives, rocketry and pyrotechnic special effects.In addition to the authors, eight individuals with expertise from each of the technical areas addressed, have reviewed and contributed to the development of the dictionary. Most entries go well beyond merely defining a term; many terms are explained using examples, data, and/or illustration. Accordingly, the dictionary should be both authoritative and easy to comprehend.Review by Robert M. Winokur.The cover price is $40. See Order Form for pricing and shipping.